The time for some bead soup has arrived once again! As a refresher, I received my soup from Bev Breisinger of Country Frog Creations. 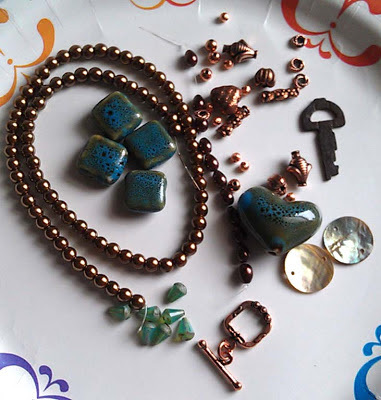 This is the 7th serving of Bead Soup organized by Lori Andersen, hostess with the mostess! The rules of the soup are that we must use the focal and the clasp...the rest of the beads are an extra bonus. 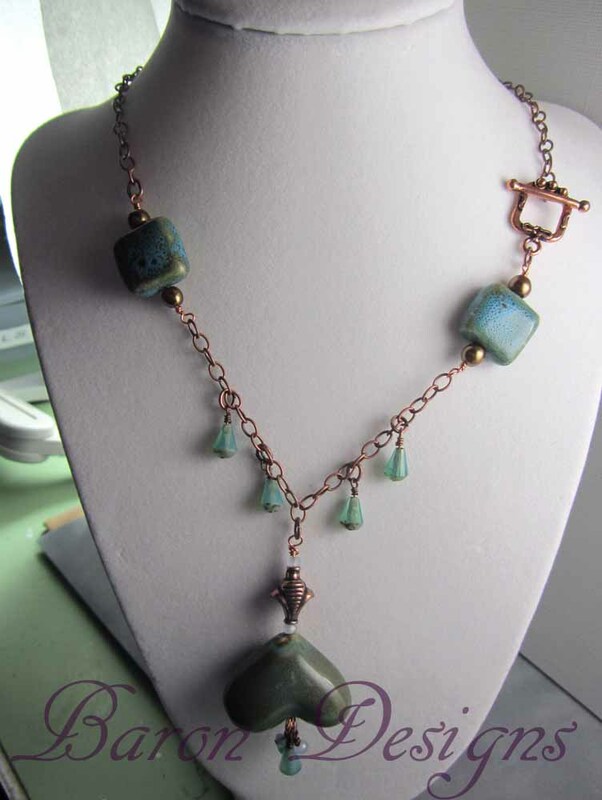 This time around, I used the focal and the clasp in the same piece...here is what I was able to make with her soup! 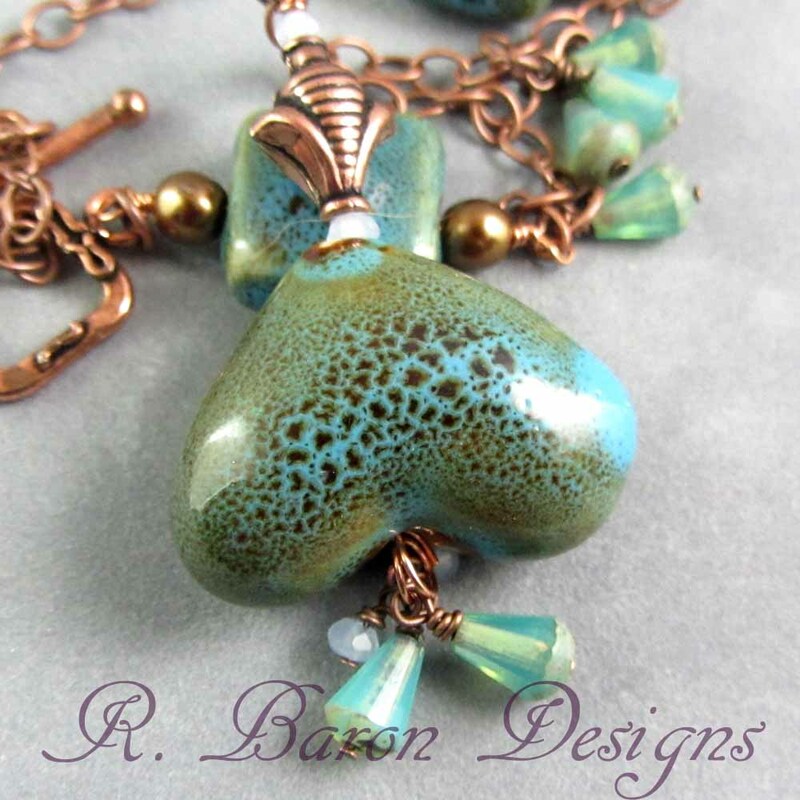 As you can see, I didn't use the heart focal in the traditional way. I also moved the clasp around to the front, since it seemed to lend itself well to continuing the square motif of the blue ceramic beads. Due to craziness at work, I didn't have time to make anything else out of the soup. 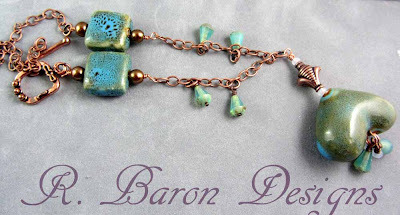 :( I have plans for some earrings using the cool shell drops Bev sent, as well as some ideas for using the old key. Want to see the rest of the soups? Of course you do! Follow the links below to see what other concoctions were created with soups from all over the world!